Last week owners of the Depoe Bay Tradewinds Charter Boat Company Tim and Julie Harmon along with their daughter Eva entered guilty pleas on charges of racketeering and to assisting another in a wildlife violation. The three were arrested in July 2015 along with several of their employees and charter boat captains. Oregon State Police (OSP) investigation found that the boat company customers were charged for fishing licenses and then were either not issued licenses or were given receipts and told those receipts were valid fishing licenses. Also as a term of the plea agreement the Harmon’s are on parole for 5-years and must sell their charter boat business and will not be allowed to have an ownership or be part of any business associated with Oregon Charter Boat fishing. Once the sale is complete and the fines and restitution paid then the family can keep any remaining money from the sale. Fresh Oregon Dungeness crab is back on the menu after fishery managers determined the fishery is ready to open Jan. 4 along the entire Oregon coast. Fishery managers exercised an abundance of caution in opening the crab season this year due to unusual levels of domoic acid found in crabs along Oregon’s southern coast. The month-long delay in opening the season allowed for additional testing for domoic acid in order to provide confidence that crab harvested from Oregon waters are safe to consume and of excellent quality. “Along with the state agencies, the Oregon commercial Dungeness crab industry has taken a very proactive and precautionary approach to the opening of this crab season in the interest of public safety,” says Caren Braby, ODFW Marine Resources Program Manager. Testing of crab in recent weeks show the elevated levels of domoic acid in the southern half of the state have decreased and are all below U.S. Food and Drug Administration alert levels for three sample periods in a row. Based on these results and consultations with the Oregon Department of Agriculture, the Oregon commercial crab industry and Washington and California Departments of Fish and Wildlife, the Oregon Department of Fish and Wildlife is opening the ocean commercial Dungeness crab season along the entire Oregon coast just after the New Year, Jan 4. Commercial crab boat lights will start dotting the horizon Jan. 1 as boats are allowed to set gear three days prior to the fishery opening. The recreational harvest of Dungeness crab in Oregon’s bays and ocean is currently open coastwide. As the season gets underway, state agencies will continue to monitor marine biotoxins in shellfish to ensure that the concentrations remain below the alert level to ensure the consumer safety. The opening of the commercial Dungeness crab season along the Oregon coast continues to be delayed due to concerns about domoic acids levels in the southern half of the state. While recent testing showed domoic acid in crabs in all areas to be below levels that normally trigger action, the overall trend indicates domoic acid in the southern half of the state has increased over the past two weeks and are near the action level. Based on these results and consultations with the Oregon Department of Agriculture (ODA), the Oregon commercial Dungeness crab industry, and Washington and California Departments of Fish and Wildlife, the Oregon Department of Fish and Wildlife (ODFW) is continuing the delay of the ocean commercial Dungeness crab season along the entire Oregon coast. The commercial Dungeness crab season along the Oregon coast normally opens Dec. 1, but can be delayed to ensure a safe and high-quality product to consumers. Testing of crab in recent weeks showed elevated levels of domoic acid in the southern half of the state. Based on these results and consultations with the Oregon Department of Agriculture (ODA), the Oregon commercial crab industry and Washington and California Departments of Fish and Wildlife, the Oregon Department of Fish and Wildlife (ODFW) is delaying the ocean commercial Dungeness crab season along the entire Oregon coast. This delay will allow completion of additional testing for domoic acid in order to provide confidence that crab harvested from Oregon waters are safe to consume. Oregon’s commercial crab industry places a high priority on making sure that seafood consumers can be confident that they are buying a safe, high-quality, and sustainable product when they purchase Oregon Dungeness crab. The Oregon Department of Agriculture and the Oregon Department of Fish and Wildlife are reopening recreational and commercial mussel harvesting from Cape Meares, south of Tillamook Bay, to Heceta Head, north of Florence. Shellfish samples taken from the area indicate levels of paralytic shellfish toxin (PST) have dropped below the alert level. 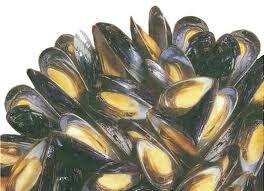 With the reopening, mussels can now be harvested along the entire Oregon Coast. Meanwhile, all razor clamming remains closed for the entire Oregon Coast because of elevated levels of domoic acid. ODA will continue to test for shellfish toxins weekly, as tides permit. Reopening of an area requires two consecutive tests in the safe range. For more information, call ODA’s shellfish safety information hotline at (800) 448-2474 or visit the ODA shellfish closures web page at <http://www.oregon.gov/ODA/programs/FoodSafety/Shellfish/Pages/ShellfishClosures.aspx&gt;.